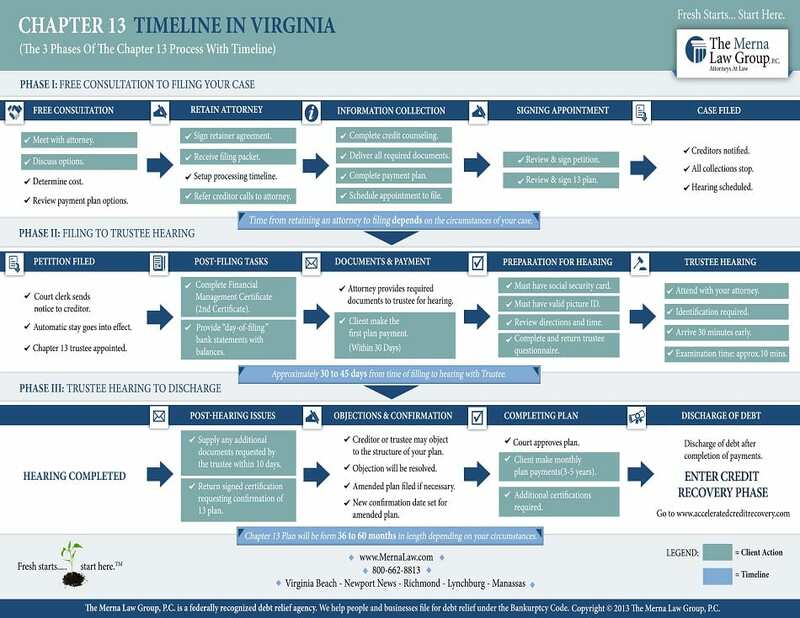 Infographic: Chapter 7 Bankruptcy Timeline In Virginia is copyrighted by The Merna Law Group, P.C. A limited license to embed this page on your site is granted below. Any other use of all or part of this copyrighted material will be prosecuted. The above timeline of the bankruptcy process is for use by clients of The Merna Law Group, P.C. It is not a complete overview of the process just a highlight meant for clients to better be able to work with their Merna Law attorney. For permission to use this infographic, including a license and assistance in custom branding, and pricing email marketing@mernalaw.com .